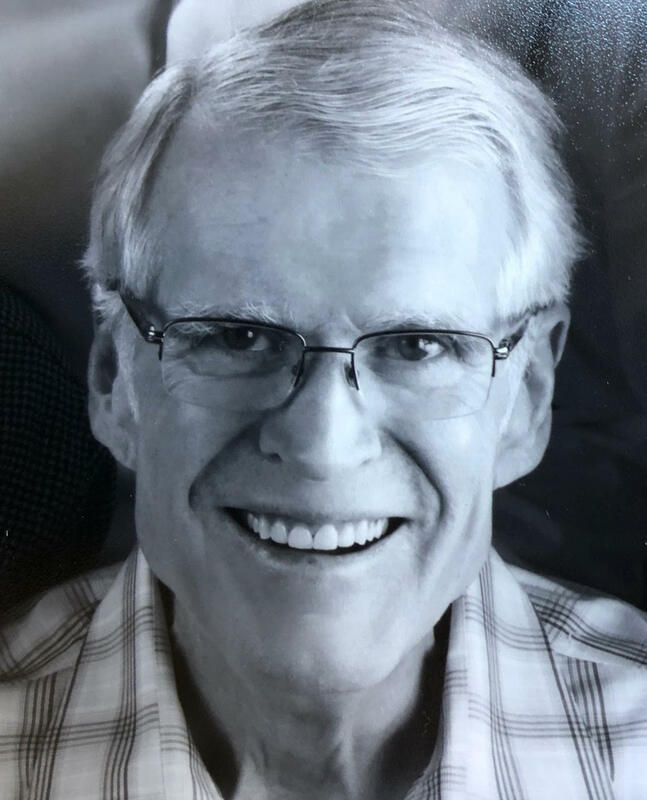 WELCH, James Cotter born on September 7, 1944, passed away August 12 with family at his side following a brief battle with Multiple Myeloma and Amyloidosis. He was predeceased by his parents Al and Dorothy and daughter Kathy Bach. He is survived by his wife Tricia, brother Tom (Lucy) and sister Mary King (Barry); his son Mark (Jaylyn), son-in-law Dave Bach and his stepsons Todd Cook (Amy) and Jeff Cook (Diana); and his 8 grandchildren, Hillary Nelson (Glendon) & Lindsey Clark (Cameron); Matthew & Katie Welch; Sydney, Branson, Harrison & Carson Cook. He is also survived by his newly arrived and first great-grandson Glendon Nelson III. Jim was a 1962 graduate of Manzano High in Albuquerque and the University of New Mexico in 1967. He earned an MBA from the University of Tulsa and was a longtime member of the American Association of Professional Landmen. His passions and hobbies included vacations, photography, milestone birthdays, oil & gas and especially The Lake – even though his prowess with a rod and reel were questionable at best. Known as the Birdman of Ketchum, Welch loved to feed his birds and was particularly fond of cardinals and bluebirds. He was not a fan of squirrels or the Obama administration. He lived a wonderful, fulfilling and rich life and kept his trademark sense of humor until the very end. Most important to him was the love and camaraderie shared with family and friends at Grand Lake, Cuchara, Colorado and all the places, people, and stories that resulted from his time in the Oil Patch. Per his wishes, a celebration of life will be held at Grand Lake. In lieu of flowers or donations, the family asks that you hug the ones you love and be sure to tell them that you love them, often. I will always have a special love for Jim. He was a wonderful loving husband to Trisha, as well as the most superb “stepdad” imaginable to Jeff and Todd. He truly loved Trisha’s family and always made us feel welcome and wanted when we visited! He was forever gracious and wanted people to enjoy being in his and Trisha’s home. He was a generous and caring man who was kind to everyone who knew him, and willing and anxious to lend a hand or share a glass of wine with a friend. Jim was truly One of a Kind! He will be missed but remembered with lots of love!! Well said. He sounds like an amazing man. And if he’s anything like the sons we know, the world will be a much lesser place without him. We are so sorry for your loss. I know that Jim will be missed. I worked with him at Louis Dreyfus Natural Gas and Dominion. I respected Jim with his insight and humor. He was very instrumental in our development of the Sonora Area for a number of years. He was smart, respectful and let you know what you could and couldn’t do regarding landwork and the development of the field. We attended several milestone parties in Sonora regarding the number of wells that were drilled. We had good times working together. I remember one occasion just enjoying walking with him on Amelia Island during a quiet time between company presentations. I don’t remember what what was said but I do remember talking and joking with him and Ernie as we walked and looked over the scenery. I wish I could remember the things that we talked about at times but I can’t. All I do remember is the caring and the warmth and the humor that Jim had for those around him. He also had and intensity to get the job done right and was not shy about sharing his opinion. He was also respectful of the opinions of others. He will be missed. There will always be a place for him in my heart. He was just that type of human being. Again, so sorry for your loss. We hope and pray for healing during this time of grief.